Generally, when business leaders want to increase client acquisition, they think they need to exert the marketing budget to improve visibility and awareness, or turn to a direct sales effort. The latter means that they’re relying almost solely on the behavior of sales reps (people) to lead the client acquisition initiative. CRM systems help to catalog the information and activity, but when it comes down to it, the process across reps is inconsistent. 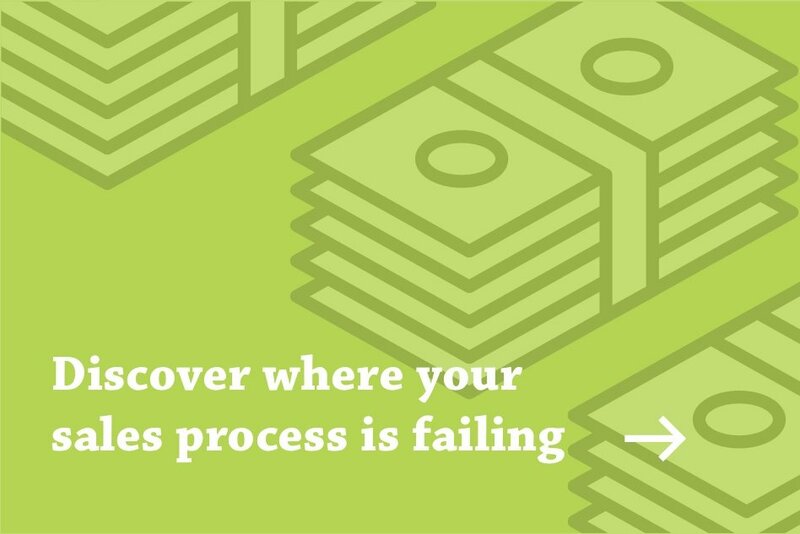 In this post, we’ll explain why improving your sales process requires consistency at each stage of the sales funnel. Let’s dive in! Consistency in the top of the funnel processes is often the easiest to standardize and replicate; however, it often comes with a hefty cost. Traditionally, sales leaders hire a team of BDRs or SDRs to pound the phones and fire off a high volume of emails, effectively keeping the top of the funnel full. This model, however, still relies too much on the “people” aspect. You can incorporate process, but you’re still relying on reps (generally entry-level) to follow the process. There is simply too much room for error here to truly be consistent. The best way to drive TOFU consistency is to inject layers of automation and technology into your program. Make sure the people you’re prospecting are very targeted then apply a consistent process and volume to your targeted sales outreach. If you have a consistent prospecting stream, you’ll be able to effectively analyze rates and build sales models. Additionally, business leaders should task their marketing team with developing educational, or Awareness stage, content that answers their specific questions, needs, and pain points. Producing and promoting Search-optimized blog posts will attract people that know they have a problem but need help defining and solving it. Consistency is key with your TOFU marketing efforts. Think of it like going to the gym: Working out 5 days a week will give you better results than working out once a week. Consistency will get you results. The middle of the funnel is often the most forgotten and neglected layer of the funnel. It’s almost no-man’s land in a sense, as it straddles heavy interaction between the team of SDRs (TOFU) and your closers (BOFU), but no one is quite sure what to do in the interim. In many cases, organizations rely on marketing to guide prospects through the middle of the funnel with various different types of Consideration-focused content, which is great; however, it is not enough to ensure scalability, replicability, and consistency. In order to establish MOFU consistency, consider building processes around both your marketing and sales automation in order to nurture leads into becoming legitimate opportunities. This should include attempts to learn more about your leads, especially if they have the budget, decision making authority, a need, and a timeline. These BANT qualifiers help determine whether or not this is an immediate opportunity, a later opportunity, or even an opportunity at all. Consistency at the bottom of the funnel will result in consistent, predictable revenue generation. Predictable revenue generation should be the goal of any business leader; but, it is only achievable after you establish BOFU processes. Common sales activities at the bottom of the funnel include demos, trial installs, and consultations, but without a clear process and upfront contract, you will never close as many deals as you should. When it comes down to it, achieving consistency requires establishing process and executing at every stage of the funnel. Request a consultation with us to determine what exactly your process needs in order to be more consistent. We’ll simply identify the problem and give you your solution.